← Is This The Droid You’re Looking For? In an innovative development in robotics, researchers from both Tel Aviv University and Ort Braude College have created a mechanical locust that could be used in search and rescue missions. With its minute size, ability to leap 11 feet high and 4.5 feet wide and nimbleness over rough terrain, this invention is exciting news for search and rescue teams. Named &apos;TAUB&apos; to correspond with the names of the universities that were involved in its manufacture, the mini robot has made major advancements in the engineering field. The design was inspired by the movement and jumping action of a locust more so than its physical resemblance. 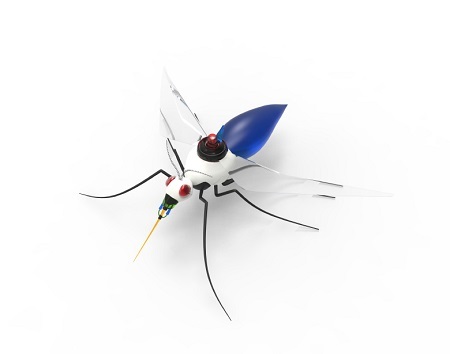 Powered by an internal battery and remotely controlled, the insect inspired robot uses stored energy in steel wire torsion springs in its legs which are constructed from stiff carbon rods. The use of these mini mechanics within the model allows it to catapult itself in the air to mimic the movement of the flexor muscle of a locust. The main innovators of the automaton, Professor Amir Ayali and Doctor Uri Ben-Haman intend to install a gliding mechanism so the robot can extend its jumping range and reduce its impact when landing. This isn&apos;t the first example of nature-inspired engineering that has been developed, however. A robot that mimicked the tumbling movements of a turtle was made with four flippers to explore shipwrecks. Another that could also be used for search and rescue missions is the Robo-bee, a fly-inspired bot with wings that can flap up to 120 times per second. This cutting edge technology means it could also operate to be used in environmental monitoring and crop pollination. In May 2014, researchers from the University of Maryland were involved in the production of mini insect bots that could be used for surveillance with sensors installed into the drones&apos; &apos;eyes&apos;. They also have the ability to form swarms in order to deal with turbulence and avoid obstacles with the use of sensors. As a long-standing company in the engineering industry, we can appreciate anything that utilises technology to build a better future, from springs that make robo-insects soar, to clock springs that keep our clocks and watches ticking. If you have any queries about our services feel free to contact us at 0208 663 1800 or visit our Facebook and Twitter pages for more information.